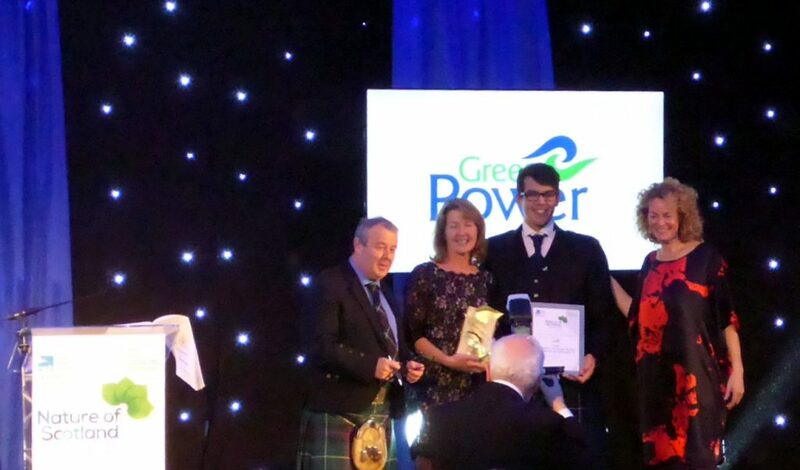 GreenPower are once again delighted to be sponsoring the Community Initiative Award at the RSPB Nature of Scotland Awards for the sixth year running. This award will go to an outstanding community-based initiative that clearly demonstrates what they have done for the benefit of nature. The project should be developed and led by the people it serves, acting as an inspiration to others and offering real value to the whole community. Applications are now open until 4th June 2019 and entering the awards is free. Applications are being sought across nine categories including 2 new awards for 2019: Coasts & Waters and Conservation Science. The other categories are Community Initiative, Food and Farming, Innovation, Political Advocate of the Year, SNH Business, RSPB Species Champion and Youth and Education. Winning the GreenPower sponsored Community Initiative Award in 2018, Ninewells Community Garden’s mission is to promote wellbeing through therapeutic gardening. They have successfully created a place where people as well as plants can flourish. The one-acre garden is maintained and developed by volunteers and is always open for the hospital community and locals alike for rest and relaxation. 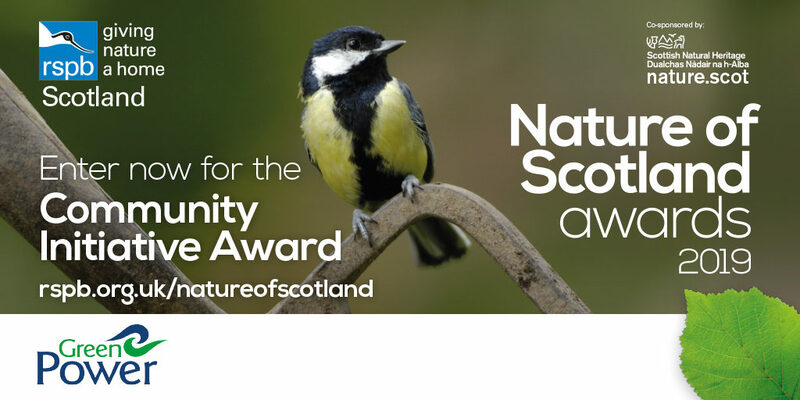 These eighth annual Nature of Scotland Awards co-sponsored by Scottish Natural Heritage recognising excellence, innovation and outstanding achievement in nature conservation. If you are involved in an outstanding community-based initiative that benefits nature and acts as inspiration to others RSPB would like to hear from you. Let’s celebrate the people, organisations and businesses going above and beyond to support our precious natural heritage. Nominate a person, project or business dedicated to supporting our environment or submit your own project and tell us what you’re doing to support nature! Find out more about the awards and submit your application by 4 June by visiting rspb.org.uk/natureofscotland.